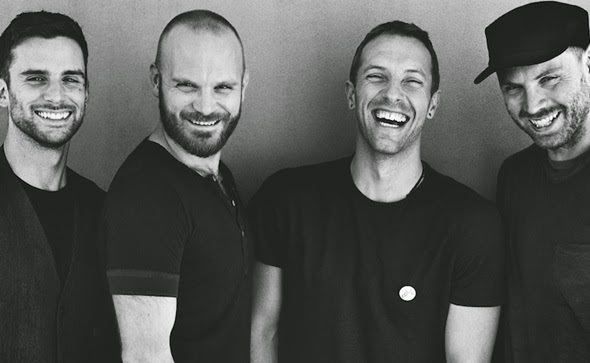 MetalRockNews: Coldplay: "The future of music is not rock"
Coldplay: "The future of music is not rock"
Coldplay were recently interviewed by The Telegraph, you can read some excerpts below. Frontman Chris Martin said: "We felt like rock music has been done. The future of music is in new sounds and new ways of treating vocals. We wanted to add those colours to our palette. No one would ever put us in a list of the top 10 rock bands. We’ve maybe rocked out once, for 10 minutes. I don’t think anyone would throw up the devil horns to any of our major works"
Bassist Guy Berryman added: "There’s an awful lot of rock music already out there. I’m not sure there is anything left to add."